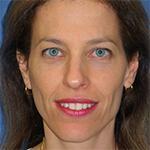 Prof. Yaël Ronen received her PhD from the University of Cambridge in 2006. Her thesis, on illegal aspects of transition from illegal regimes, will be published by CUP in early 2011. Her areas of expertise are statehood and recognition, human rights, international humanitarian law and transitional justice. She is currently the academic editor of the Israel Law Review. Prior to embarking on an academic career, Prof. Ronen was a political and legal officer in the Israeli foreign service.